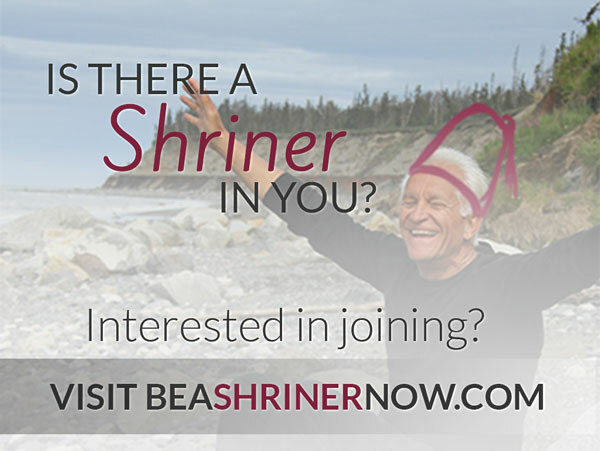 In order to become a Shriner, a man must first be a Mason. The fraternity of Freemasonry is the oldest, largest and most widely known fraternity in the world. It dates back hundreds of years to the time when stonemasons and other craftsmen gathered in shelter houses or lodges. Over the years, formal Masonic lodges emerged, with members bound together not by trade, but by their own desire to be fraternal brothers. The basic unit of Masonry is the Blue Lodge, where members earn the first three Masonic Degrees known as the Entered Apprentice, Fellow Craft and Master Mason. There is no higher degree than that of Master Mason (the Third Degree). After he becomes a Master Mason, he can belong to many other organizations which have their roots in Masonry and which have Blue Lodge Masonry as a prerequisite. Only when a man has achieved the status of Master Mason can he petition to become a Noble of the Shrine of North America. Other affiliated Masonic organizations include the Ancient and Accepted Rite of Freemasonry (Southern Jurisdiction, U.S.A., Northern Jurisdiction, U.S.A and Canada) and the York Rite.